A lot of the information the AP department needs to efficiently and accurately process transactions, already start with the procurement of the products or services your company needs on a regular basis. Allow me to explain. When the need arises within a business for a certain service or product, the first order of business for the procurement division would be to obtain relevant comparative quotations from different suppliers for that specific product. The alternative is to send out an RFP if the service needed is of an online or virtual nature. This approach has many benefits to keep in mind. The goal here is to get the best price, product, service, service delivery and after-sales service possible. Sometimes however if it’s an urgent purchase we will be open to sacrifice a bit on the price if the quality and after sales service is extremely important or holds great risk for the company. Keep in mind that your company will have its own policy with regards to this. When an item is procured, your company will normally send a confirmed and authorized purchase order to your vendor of choice. When this purchase order is created accurately, providing the correct details, you are already in a better position for a smooth transition to the next phase, which will be the service or product delivery. The service or product will now be delivered or rendered to your company, either immediately or on the agreed upon date. It is crucial that the person confirming receipt of these services or products confirms the following, to make sure there are no unnecessary delays within the whole process. Is it the correct items & quantity or volume that was delivered? Did you sign, write your name, the date & time of receipt on the document? If there were damaged items did you annotate it accordingly on the document (as well as the duplicate going back to the provider) before just signing for the whole package? Were the items delivered within the agreed upon time or an acceptable period of time? Were the services performed to the agreed upon standard? Ensure that all supporting paperwork is submitted timeously to the relevant people for processing. Remember if the products you received is part of an order for the stock, it will need to be received on your accounting system before it can be used. No paperwork should be left lying around or left for “safekeeping” under your desk pad at your desk. 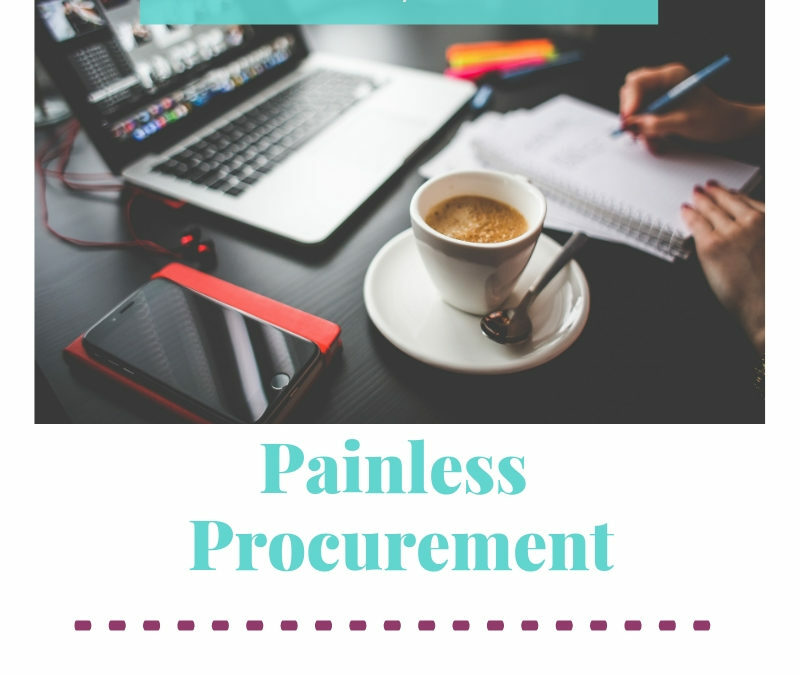 We’ve taken a bit of an overview of Procurement and touched a bit on Receiving Stock. This by no means is the alpha and omega of processes because each company is different with unique processes and needs. However, it may give you the slightest idea of the importance of every step in the processes & workflow of an Accounts Payable department. The process really starts as soon as a need is identified within the company and has a long way to go until the transaction is completed. Disclaimer: This blog by no means claims to give accounting or financial advice of any nature. This goal of this blog is to get individuals in the finance department thinking about the bigger picture. Too often we don’t realize the importance of our individual roles within an organisation and this leads to miscommunication, frustration, and feelings of not being valued and overwhelm. With my experience in the industry, I would like to give individuals some room for thought and hopefully some insight into the workings of some finance departments. Most often the only change needed is a perspective adjustment, to find new solutions to old problems.